EnviroMetro - 2% ATP Update- How should Metro invest its active transportation dollars? 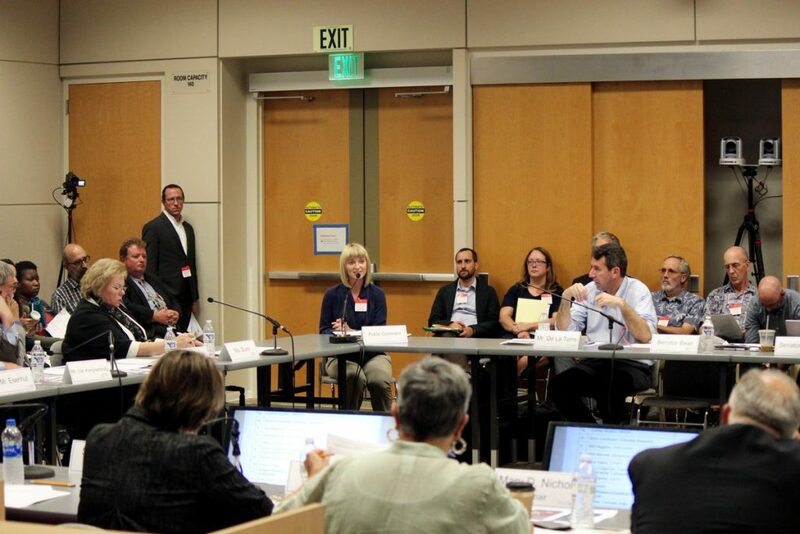 Recently, Metro Policy Advisory Council (PAC) members were invited to join a working group to develop administrative guidelines for the Active Transportation Program (2% ATP). Measure M allocates $17 million per year specifically for regional active transportation initiatives, and the 2% ATP guidelines will determine eligible activities and a funding distribution structure for this money source. During the Workgroup meeting, PAC members discussed this draft version of the 2% ATP program guidelines, which following revision is anticipated to be approved at the June Metro Board Meeting. Before then, the 2% ATP Working Group plans to gather again in the next month to discuss the draft paper and offer suggestions, and during that meeting we want to present your feedback on the program guidelines. 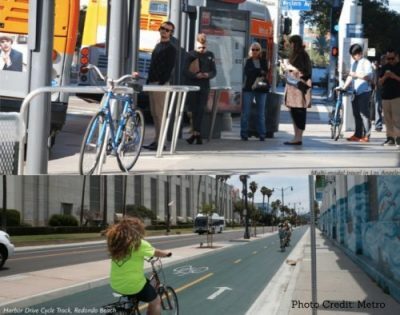 Currently, the 2% ATP draft guidelines focus on balancing regional active transportation connectivity and first/last mile transit access. This means promoting access to a web of bike lanes and sidewalks throughout the county as well as those that funnel people in to transit stops. Active transportation segments to be constructed will come from the Active Transportation Strategic Plan (ATSP), but a criteria for selecting which segments to develop first has yet to be determined. After the adoption of these program guidelines, Metro would then determine criteria and apply them to the ATSP to select the initial projects. Those criteria and initial project selection would cover the first 5 years of the funding program, and then be revisited in 5 years to accommodate shifting program priorities over time. Initial feedback on the draft text from Metro PAC members focused on the structure of funding allocation, with a general consensus to divvy up the 2% ATP funds through a needs-based distribution program led by Metro rather than a competitive grant process. PAC Members cautioned that a competitive process could leave smaller cities with less staff capacity behind. Members and community advocates also stressed that overhead administrative costs associated with a competitive grant process would take too large of a chunk out of the limited funding available. Is there anything missing from the 2% ATP draft guidelines? Something that shouldn’t be included? Tell us what you think in the comments below or e-mail your PAC representative Bryn Lindblad, Deputy Director of Climate Resolve, at blindblad@climateresolve.org.